In the year since launching our Network, we have now achieved the formation of a permament Dance Committee within Equity’s democratic structure. 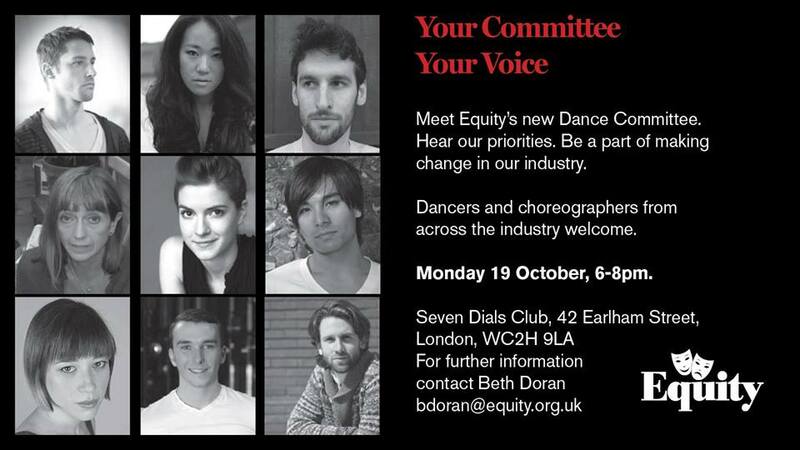 The Committee is made up of nine professional dancers and choreographers and will be voted for every two years by Equity members. This is an exciting moment for us. It gives us a solid structure to work on campaigns and priorities, using the strength of the hundreds of Network members to deliver our goals. In case you haven’t seen on Facebook or Twitter, we are having a Committee Launch event on Monday 19th October in London. Here you will have the chance to meet the Committee, hear their priorities and contribute ideas about how we can make the change we want to see.